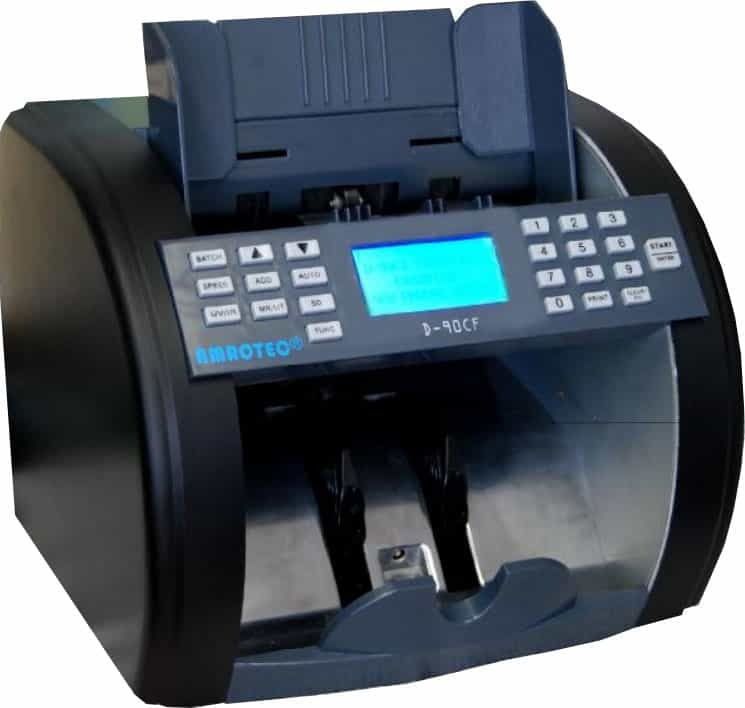 Amrotec D-90 currency counter is a high volume counting machine with simple operation with Magnetic, ultra Violet and IR counterfeit detection. Counting speed is 1500 note/min and very compact machine. This model equiped with new white LED display make it easy to read. With Batch setup, the unit stops automatically when count reaches the preset batch amount. Manufacture Warranty is 90 Days parts. Unit Dimensions: 11" x 9.2" x 10.8"
11" x 9.2" x 10.8"